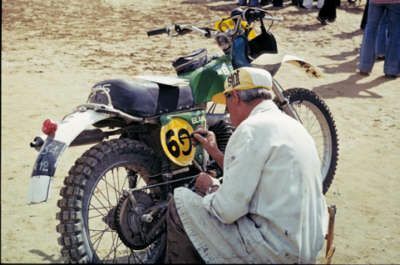 Photo of BPS preparing a number plate #69 on a BPS for French Vase B team rider M Chirouze to be ready to start ISDT 1974. 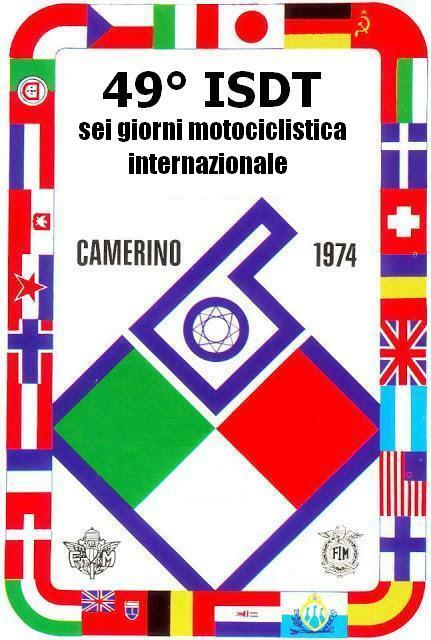 With thanks to the great ‘Leo Keller‘ who has uncovered slides of the Camerino 1974 event, we would love further info and data to help us add further to these. The results tell us the above rider retired, any information please? 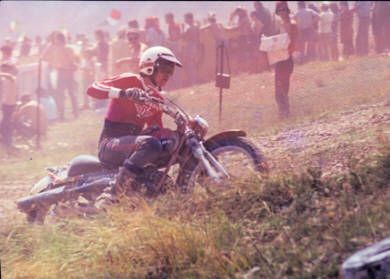 Photo of The late & great too #282 Dave Mungenast of St Louis USA riding a Rokon for the Canadian Team in ISDT 1974. Unknown as yet English 4 Stroke Machine Rider #310 with a British Racing Green helmet colour. 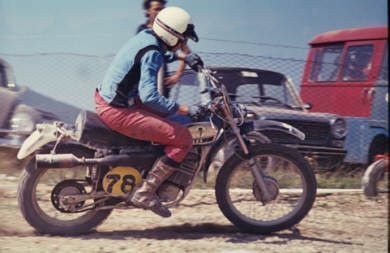 The results tell us he was on the Metropolitan Police Team was in the 500cc class and retired from the event after day 4. 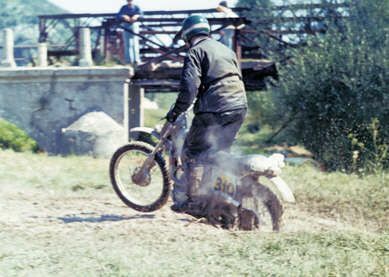 Photo of Lenz Mueller, MAICO 350cc 7th with Gold in German Silver Vase Team. 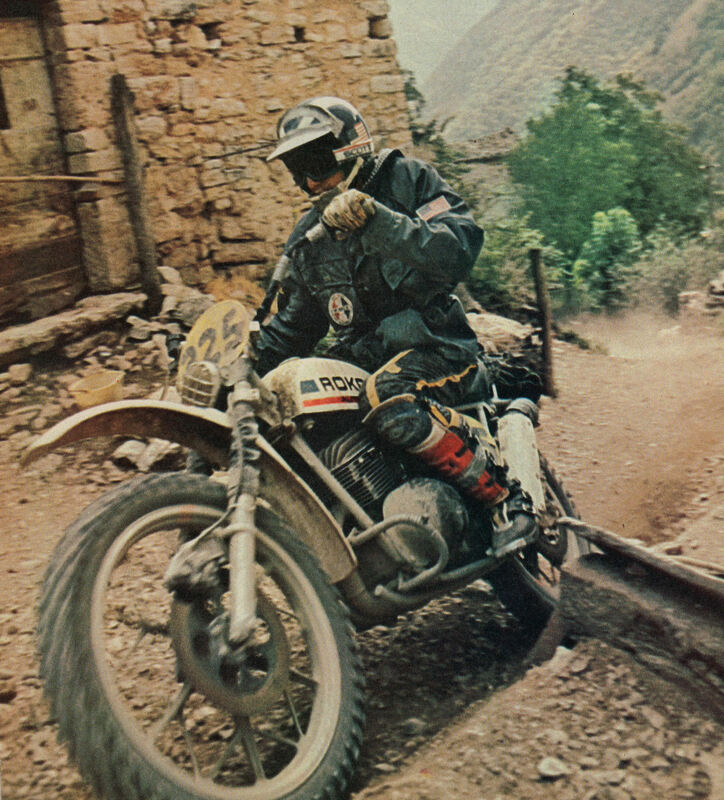 Photo of German GDR Simson rider passing a Belgian Bultaco rider in ISDT 1974. 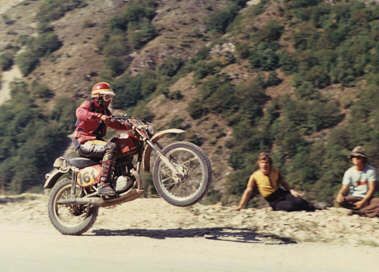 Hardy Weber from Cologne after the official Zundapp team withdrew became one of the few team riders to finish & became 5th with Gold on his 125. 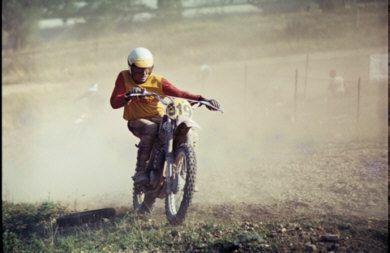 He won a Gold in his first ISDT and later in 1975 then 1976 to became a winner in the Trophy Teams & European 125 Champion in 1978. 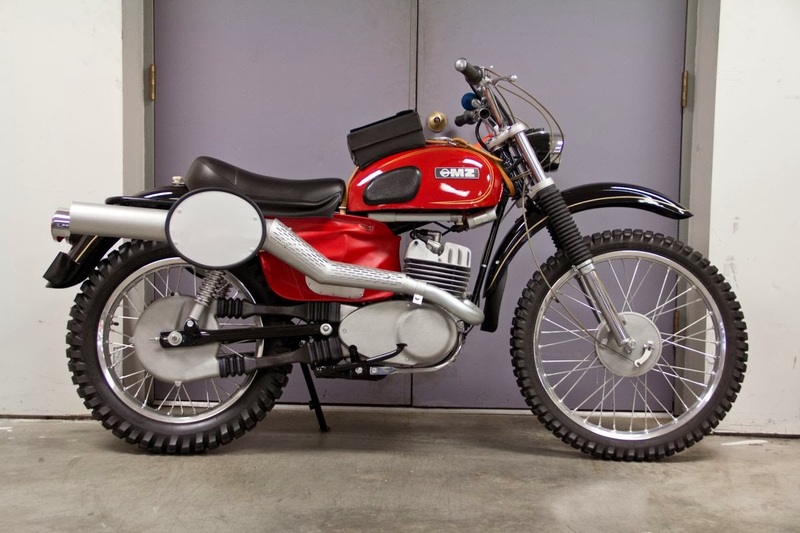 Riding on a USA built Rokon 340cc Automatic. Rocky terrain was brutal on the riders with many flat tires and rear knobbies that would wear down in one day. 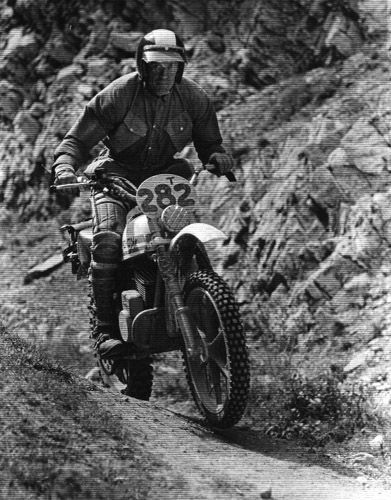 Jim Hollander was the only American to qualify for the USA Team on a Rokon. He had to change a total of 9 tires in the event, 3 at the side of the trail, costing him his Gold at the following time checkpoint by one minute past his late grace period. 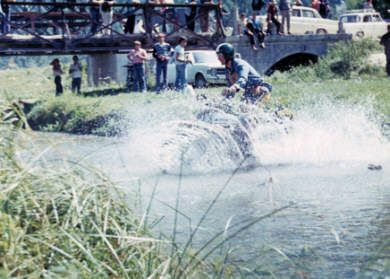 The other Rokon rider was Dave Mungenast of St. Louis, MO riding on the “Canadian” Trophy Team. 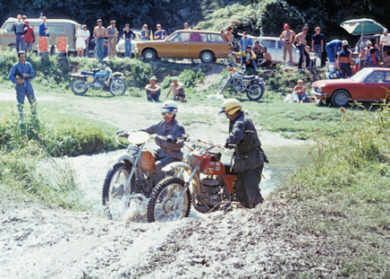 An unusual Six Days held in steep and dangerous mountain terrain around Camerino, Italy… there was no rain the entire event. Found on european blog with no text other than the description used in the image caption. A very good restore I presume looking in showroom condition. If anyone knows anything more let us know please. Sorry about my appalling Italian which is even worse Julius.